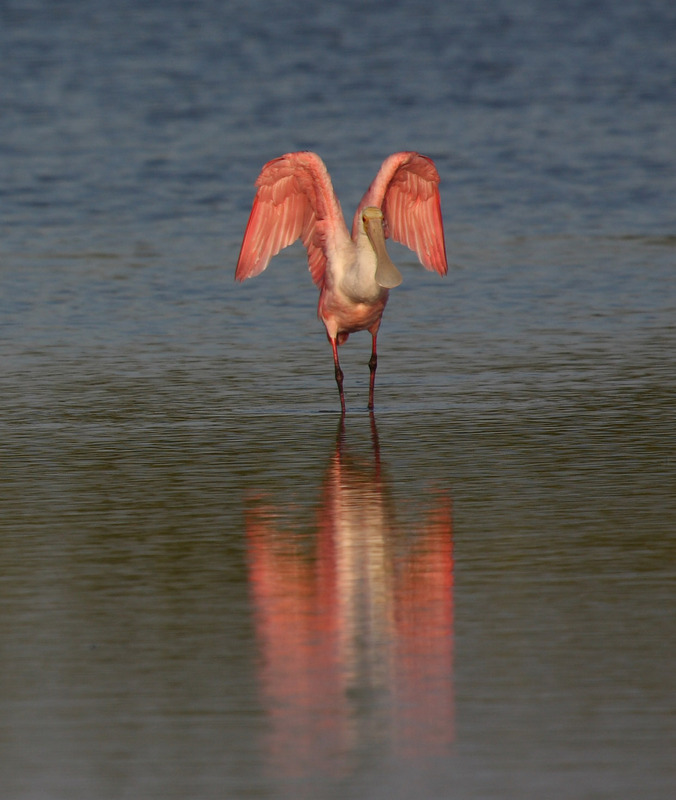 Guess where we went?Ding Darling NWR on Sanibel Island. If you haven't been there, I highly recommend it. Highly. We've been making this a destination on almost every Florida trip for the last 20 years but just recently discovered that we should time the visit to coincide with low or rising tide. Duh. 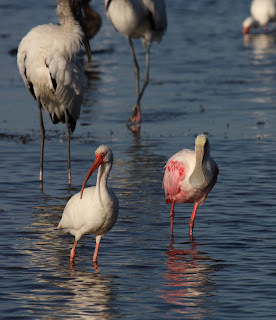 That only makes perfect sense since all of the target birds here are waders that depend on low water levels to feed. 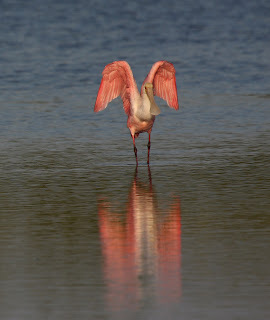 We had a double hit on this visit because low tide coincided with gorgeous morning light for photos. It was a pretty awesome morning for sure. Black, white and pink.